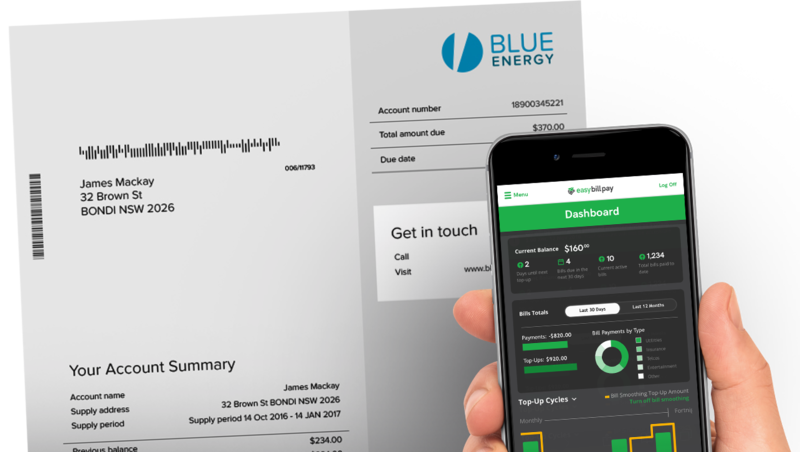 Quickly and easily add ALL your bills. Choose from 4 easy methods to upload any bill to Easy Bill Pay. Let Easy Bill Pay handle the rest. Relax! 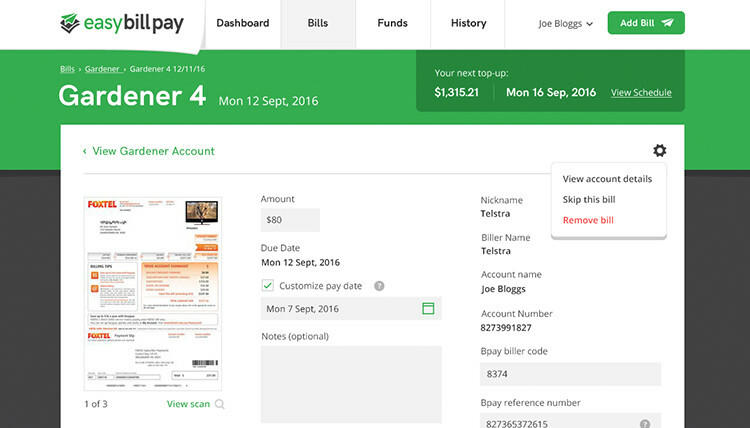 Now Easy Bill Pay will pay all your bills on time, every time. 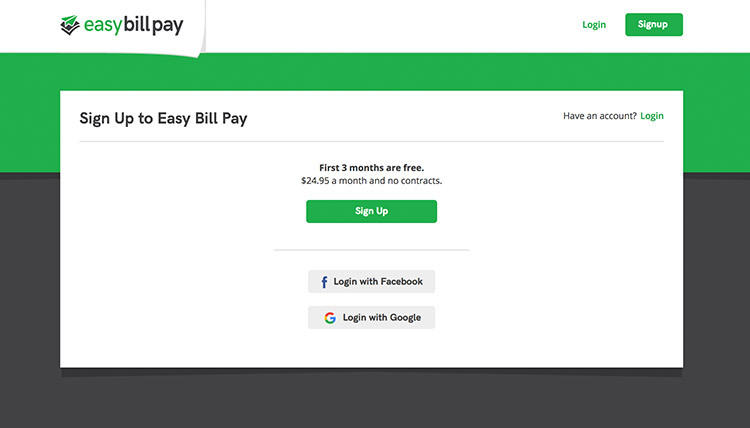 See each key section of Easy Bill Pay in action. View, manage and pay your bills anytime, anywhere. 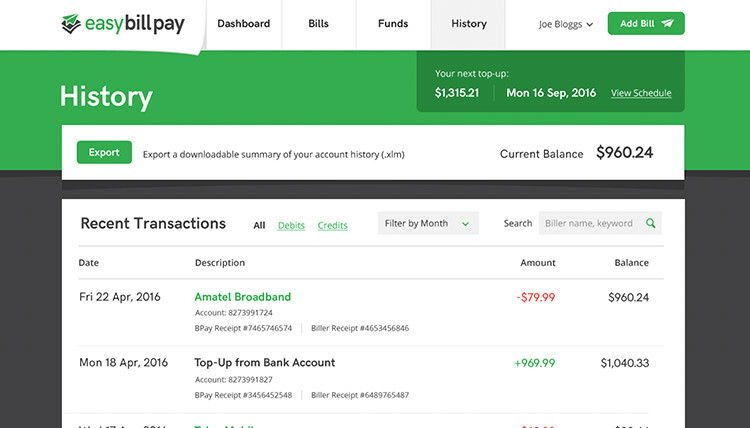 Pay all your bills and organise your finances quickly, conveniently and easily on your desktop, tablet or mobile anytime, anywhere with Easy Bill Pay. Scheduled payments means you’ll never pay late fees again. Just schedule your bill payments with Easy Bill Pay, and relax. Our hassle free bill payments mean that you can say goodbye to late fees. See your bills in the one place and stay on top of your finances. Free up your time with Easy Bill Pay. 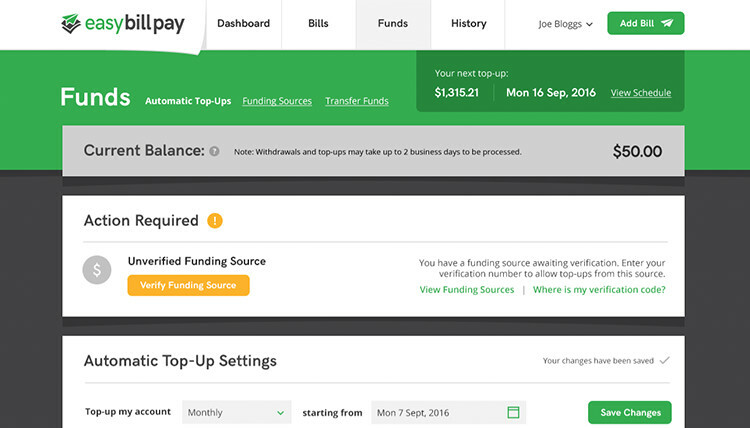 Quickly see your payments, recent bills, quick stats, forecast bills and payments, scheduled top-ups and more. See the numbers behind your bill payments. See your balance, bills, payments and top-ups all at a glance.  Set up flexible, automatic payments for recurring bills. Just add the amount and the frequency and leave it all it to us.  Add your bills by uploading or taking a photo. 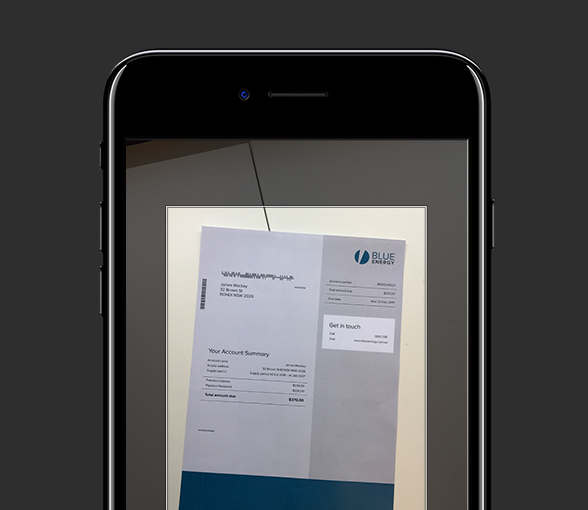 Quickly upload your bills or take a photo with our mobile app. Stay informed with customisable notifications. Emails, text messages and app notifications always keep you up to date. Use as an archive for old bills. Fully searchable and downloadable bill views, history and statements. Bill Smoothing helps you avoid bill shock. Spread large bills over multiple pay cycles to help smooth your spending. Redirect your bills to us. Forward bills to your Easy Bill Pay email address and we’ll do the rest. 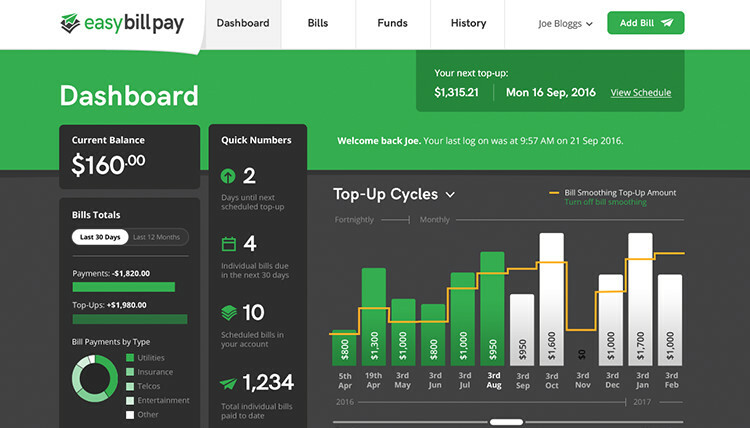 Easy Bill Pay was created from the ground up to take the stress out of paying bills. See a quick overview of how each key section works. What is Easy Bill Pay? 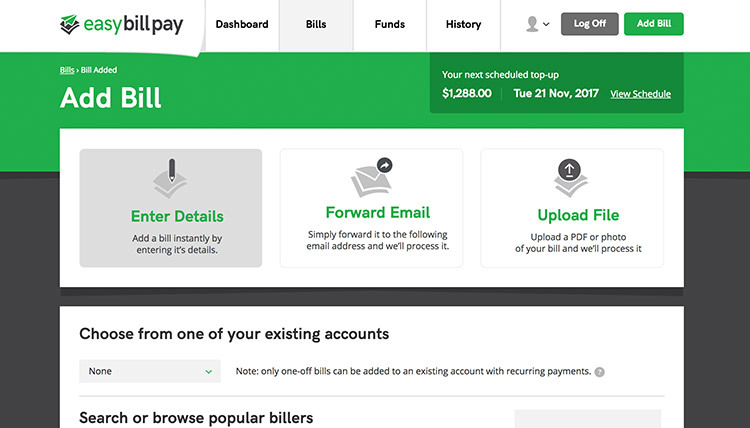 Easy Bill Pay is a simple way of paying your bills and paying them on time with minimal effort. How do I add a Bill? We make this as easy as possible for you, offering you multiple options to add your bills onto Easy Bill Pay. 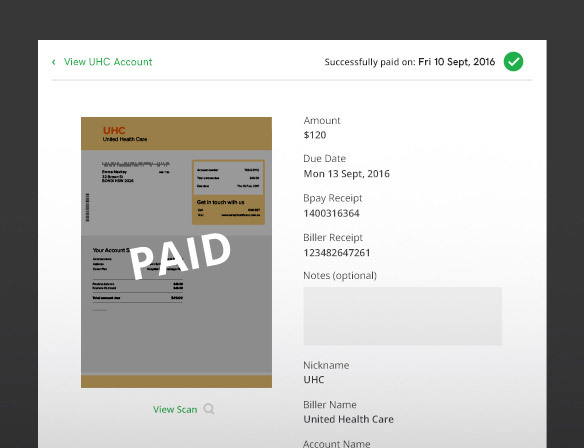 You can upload a bill or drag and drop it into our website. Our service will automatically populate the details of your bills and all you will need to do is to confirm. If you are using our mobile app, you can even take a picture of your bill. We will populate the details from the picture. Multiple pages? Not a problem. Have your bill in an email? You can forward that bill to your Easy Bill Pay email address and we will automatically load it onto your account for you. You will receive an email when the details are ready to be confirmed. 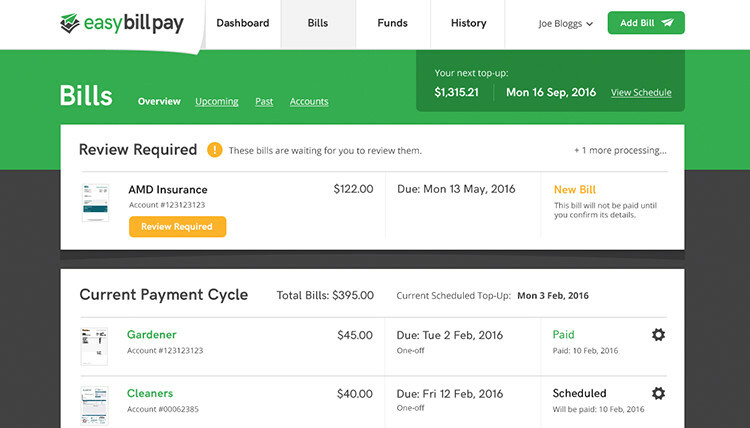 And of course, if you would prefer, you can enter the details of your bills manually on your Easy Bill Pay account. How will I know if my bills have been paid? You will have online access to your Easy Bill Pay account which will show which bills have been paid, when and how much, the balance in your Easy Bill Pay Account and the next bill amount. What bills can I pay with Easy bill Pay? You can use Easy Bill Pay for almost all of your bills. You can use it to pay your home loan, rent, utilities bills, car payments including insurance and registration, your phone bill, rates and strata levies, personal loans payments both secured and unsecured, Foxtel, Flexirent payments, school fees and child care fees, your ATO payments and your credit card payments. What happens if I want to add an extra bill or remove an existing one? You can do this anytime through your account. 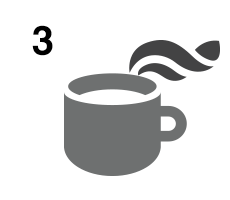 We will recalculate your top-up payments accordingly. How do I make payments to Easy Bill Pay? Easy Bill Pay will transfer funds from your nominated debit card or credit card or direct debit your nominated bank account. Try Easy Bill Pay for FREE today. © Copyright 2019. Easy Bill Pay. All rights reserved. © Copyright 2016. Easy Bill Pay. All rights reserved.